1.23 will be a major update with tons of new stuff! At the end of each month you will receive rewards based on the Rank you’ve acquired. Get as high as you can in the Leaderboard to receive tons of Crystals and Modules for your Troops and Defenses. But the rarest and the best reward awaits for those who will get to the very top and claim the Galaxy General Rank. Everyone will know that you’re the living legend, and the permanent golden nickname will prove it. Each Season a certain amount of your medals will be preserved, so you won’t have to start everything over. 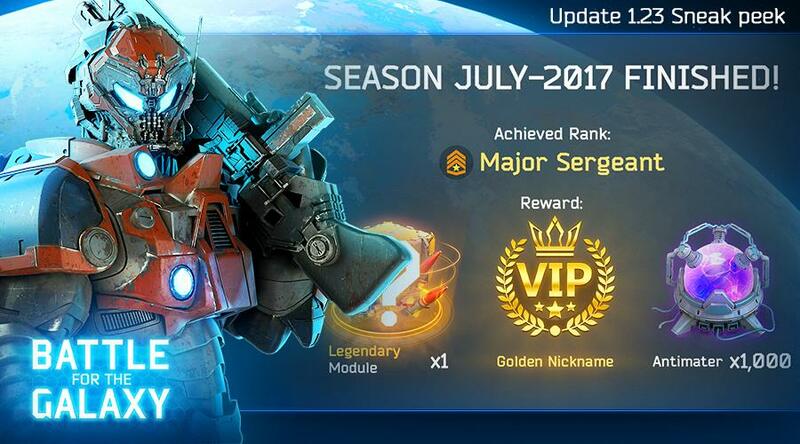 Get to the highest possible Rank in a Season to preserve more medals for the upcoming one! Wars in update 1.23 would require some cohesion from your Corporations. Previously, the best Corporation was defined by the amount of Warpoints, but with new update the system is going to change! The victory would no longer be dependent on players’ tenacity but on their skill and tactical techniques. You will be able to choose when you would like to join a Corporate War. The competition will last for 24 hours since the formation of a war group. All the Corporation members will be offered to show their skill attacking 10 bases. In the end, the amount of damage dealt to those bases will play the crucial role. The winner Corporation will be defined by the damage of its’ participants. Winners will also get the best prizes! You’ll still need to qualify for a Corporate War. Your Corporation would need to achieve a certain percentage of destruction within particular time. Once you have qualified, your Corporation’s result will be preserved, and you will be able to improve it during the War, raising the prospect of victory. We’ve seen several questions about the bases which will be given as attack targets. Each player will get unique bases matching his maximal capacity. Remember that modules, powerups, reinforcements and Corporation bonuses would help you out a lot! Update 1.23 will bring changes to the reward system of Corporate Wars. 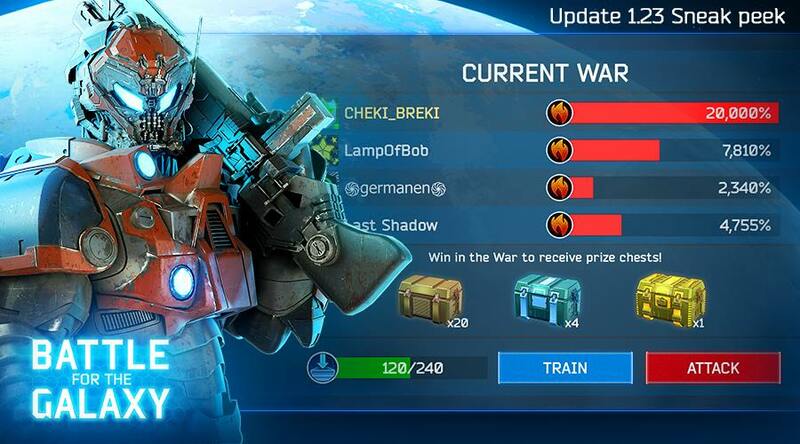 Every player who attacked target bases during the War will receive his prize in the end, so not only the winner Corporation’s members will be awarded. Winners rewards will depend on their impact in the War. More damage grants you better prizes. Each of you has received a notification saying that your base has been attacked. Unfortunately, you couldn’t fight back every time: your enemy could be online or hide behind a shield like a coward. 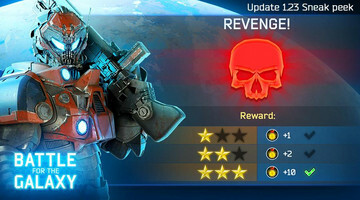 The updated Revenge mode will allow you to strike back immediately and punish the attacker! 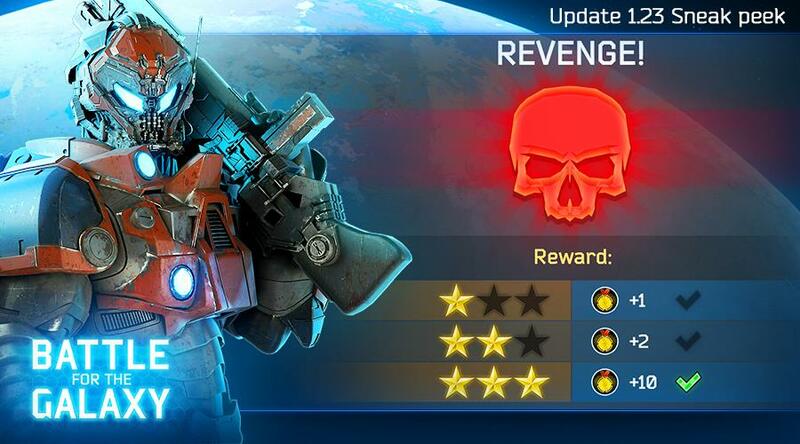 Don’t forget: in Revenge you can earn useful resources and medals for Season Leaderboards!